The pilot reported that, during the landing, the tailwheel equipped airplane touched down and veered to the left. The pilot attempted to correct with opposite rudder, however the airplane continued left. He then attempted a go-around, but the airplane exited the runway and struck a ditch. The airplane subsequently nosed over. 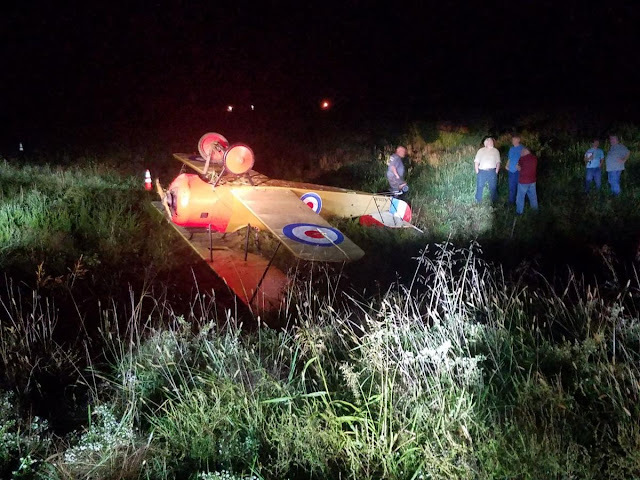 The airplane sustained substantial damage to the rudder.